When your child joins playschool, a Tapestry account is set up for them. 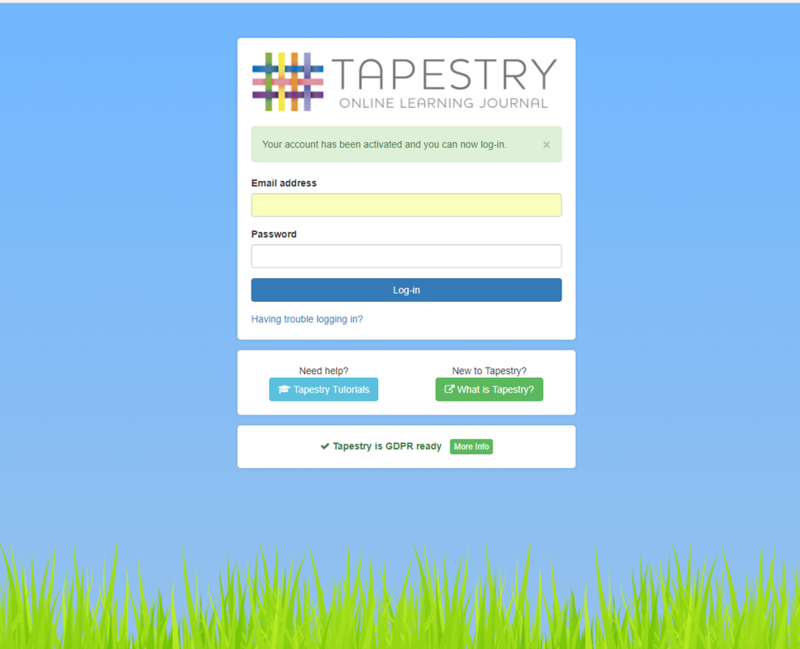 This is their online learning journal. 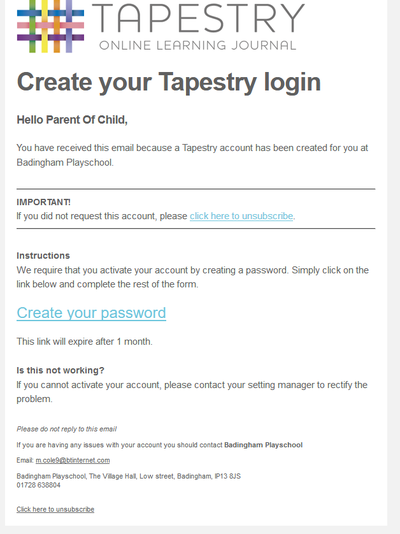 You will be sent an email to invite you to set up your own unique password to use with your email address. 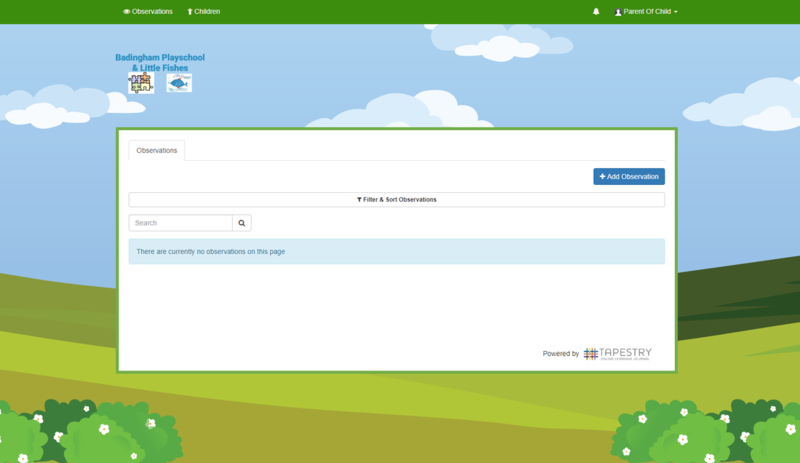 ​You will receive a welcome email. 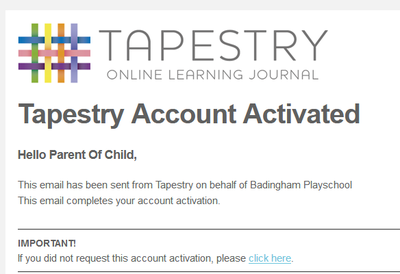 Your account will be activated when you log in. 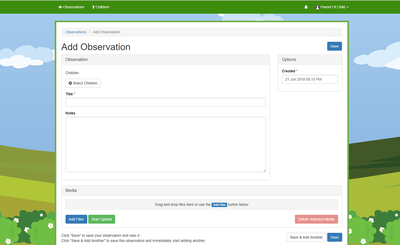 Your key person will add observations which you can comment on. 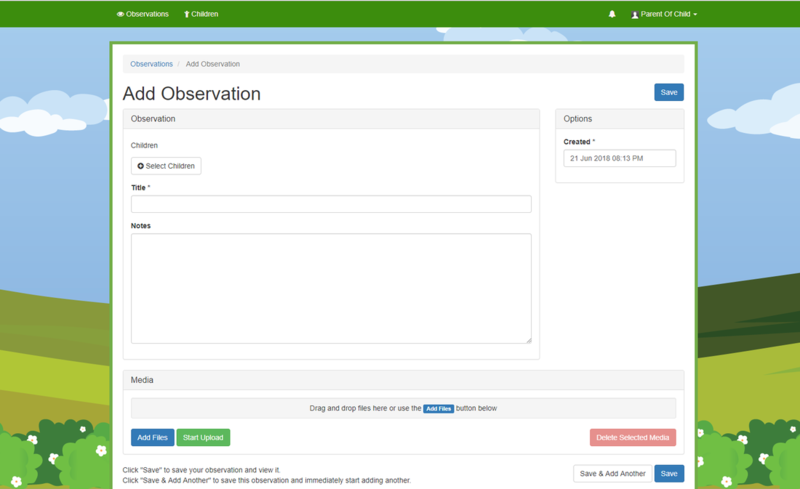 You can add observations of your own. 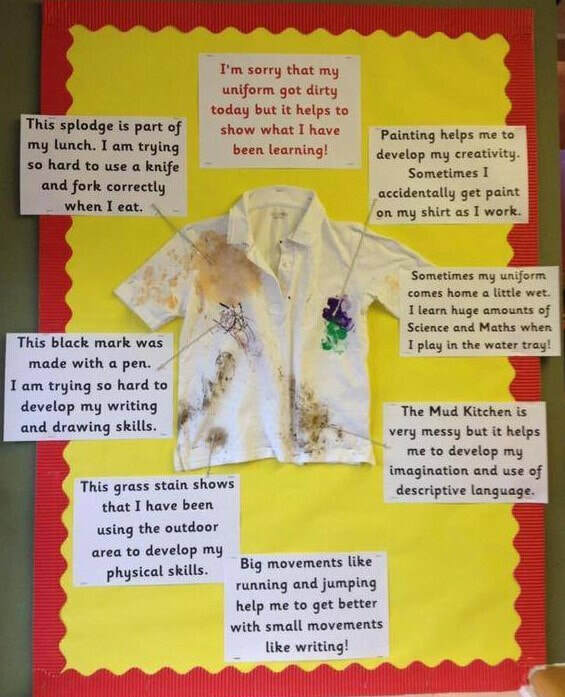 We love to see what you child does out of playschool. 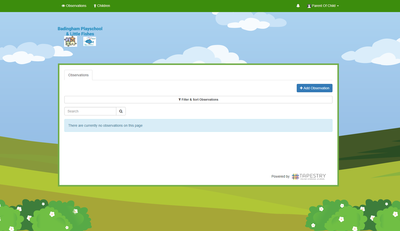 -If you have any problems accessing your account, please speak to a member of staff. 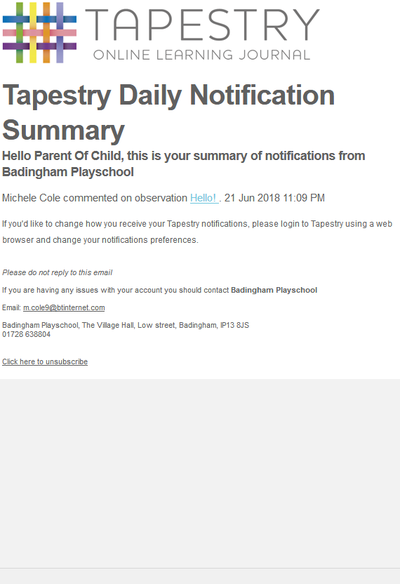 - Any publishing of staff observations from Tapestry onto social media is strictly prohibited. 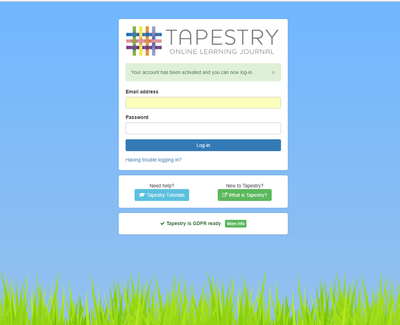 -Celebrate your child’s development by sharing the learning journal with them at home, we are sure your child would love to talk about what they have been doing at playschool. 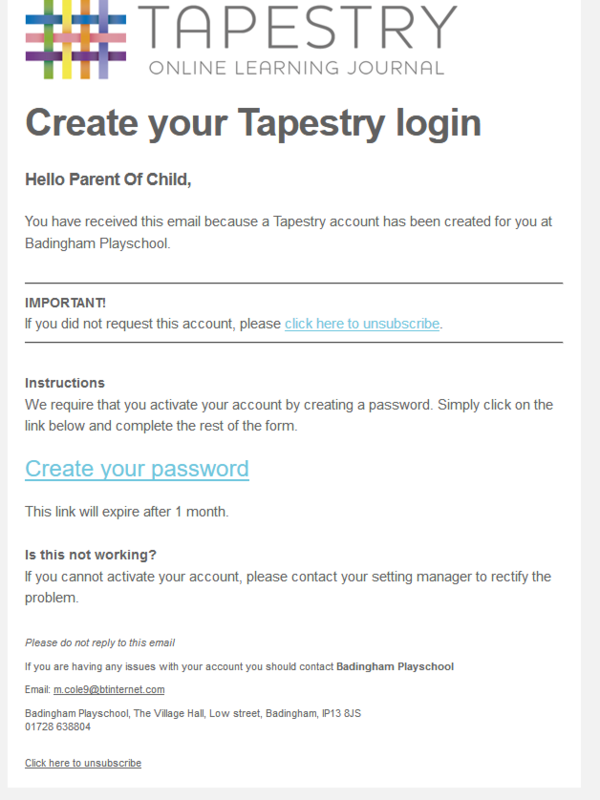 To join EasyPeasy, playschool simply requires the mobile phone number of your smartphone. You then receive a text message saying "Michele invites you to join EasyPeasy, a programme that sends you game ideas to play with your child to develop the skills they need. 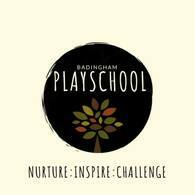 Other parents at Badingham playschool will be playing too. It's free to use. Get started here:"
Follow the link to begin. Click on one of the videos and watch. Play the game with your child. Mark the game as played. Add a comment to tell us how you got on. ​Makaton is a language programme that gives everyone a helping hand to talk. ​Learn a new word every week and be inspired to get signing. We use Makaton at playschool. Click on the link to see this week's sign of the week! 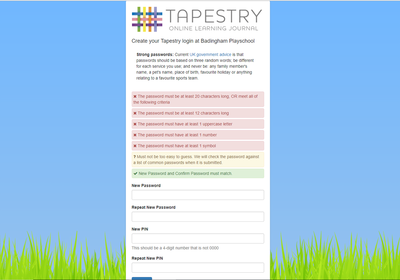 provide regular one-to-one befriending support to parents feeling isolated.